With winter finally making an appearance in Toronto our hair has changed with the weather. It’s getting dried out, frizzier (who knew that was possible?) and harder to manage. 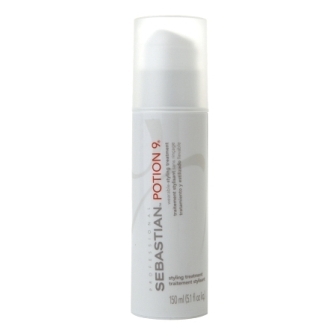 Luckily we’ve rounded up some help with out Sebastian winter hair essentials. 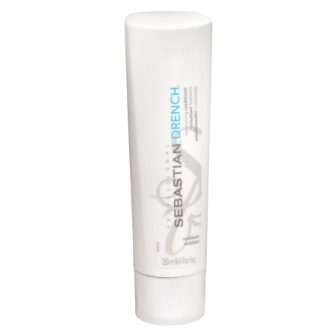 Made for dry or frizzy hair, the Drench line adds moisture to hair while giving you body and keeping hair silky. The shampoo is pretty typical of a high end shampoo. 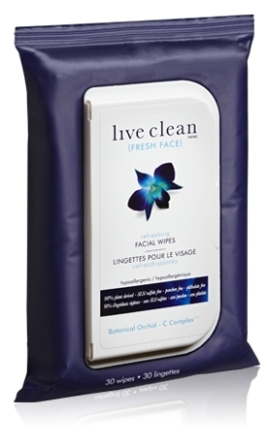 It lathers really well and smells fantastic and doesn’t make my hair feel stripped at all. The first time I used it, I actually considered skipping conditioner but I figured that would probably be a bad idea. This conditioner is a lot thicker than you’d expect. What comes out of the tube looks pretty normal for a conditioner but when you start spreading it through your hair, it’s actually more of a mask like consistency. Because it’s so thick, it’s hard to get out of the bottle. Luckily I need way less of it than I thought, so I don’t have to work quite as hard. This conditioner has definitely improved the moisture levels in my hair. I haven’t had any significantly bad hair days since I’ve started using it and I’ve noticed a lot less frizz. 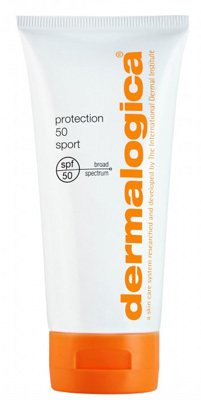 Made of nine botanical extracts, this cream is pretty much the only only styling product you’ll need. 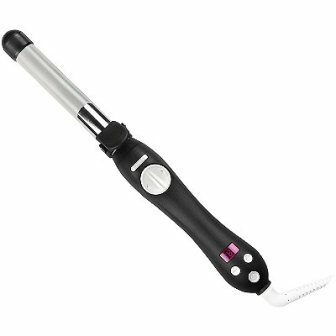 It does everything from adding moisture, to eliminating frizz to prepping your hair for blow drying. It also doesn’t get crunchy and when I let my hair air dry (almost always), it feels like there’s nothing in it. My hair has benefited so much since I’ve started using the combination of Drench and Potion 9. I have less frizz, my hair is silky and holds a style way longer. The downside is my hair feels greasy a little faster, but that’s what dry shampoo is for. If your hair is completely dried out because of winter, you need to give these products a try. Birchbox Canada has really been upping their game lately and we’re getting a little closer to what the American Birchbox subscribers get. 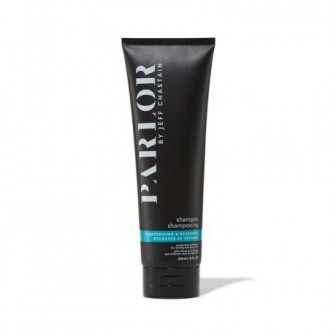 Including the Birchbox exclusive brands like PARLOR by Jeff Chastain. The first PARLOR product I tried was the Moisturizing Sea Salt Spray that was in my June box and I’ve been hooked on the scent of the products ever since. I’m the kind of person that appreciates when something smells good and will be more inclined to use it on a regular basis. PARLOR’s signature scent of ripe peach, cut grass and white woods might be the most addicting scent I’ve ever smelled in a hair product. Luckily, the products are just as great as they smell. 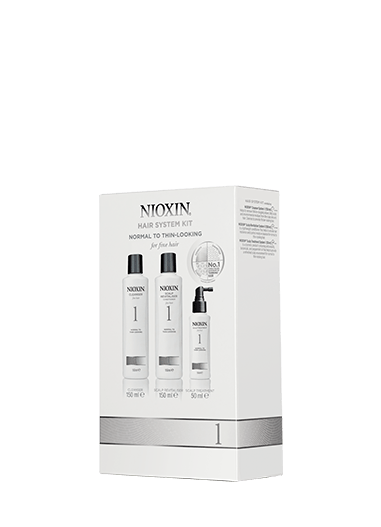 The Moisturizing Trio consists of the Moisturizing & Repairing Shampoo and Conditioner and the Detangling Leave-In Conditioner. The shampoo lathers really well and gets my hair really clean without stripping it (I usually only lather once) and the conditioner isn’t too thick but makes my hair feel really moisturized. I’ve also noticed a lot less frizz since I’ve been using this trio. The Detangling Leave-In Conditioner is one my staple hair products. I used my Birchbox points to get this before the trio was sent to us and I use it constantly. On damp hair, it makes it easier for me to style without worrying about breakage and I’ve been known to use it on dry hair to reduce frizz. Either way it leaves my hair feeling like there’s nothing in it and it smells fantastic. Someone should really suggest a PARLOR hair fragrance spray but this is great in a pinch. 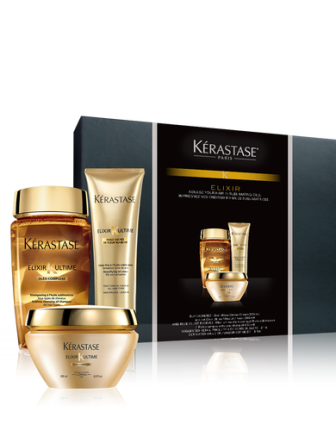 The combination of all three products leaves my hair feeling a lot more hydrated and with the dryness of winter coming up, I’m going to be reaching for these a lot. 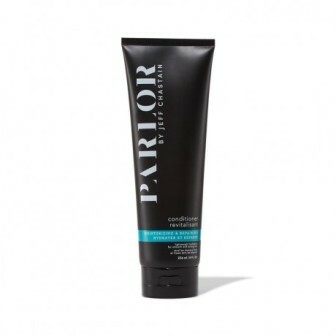 PARLOR by Jeff Chastain products are only available through Birchbox and if you’re a subscriber you know that you can use your points. If you haven’t signed up yet, this line might be the incentive you need. 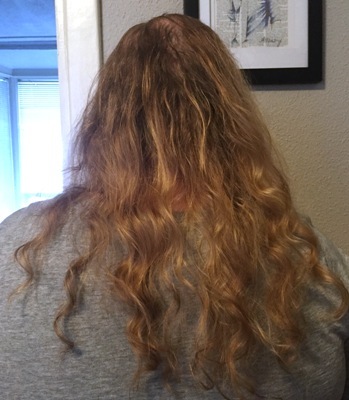 Over the years I’ve noticed my hair getting a lot finer and while I had hair almost down to my waist when I was younger, it just doesn’t grow that long anymore. 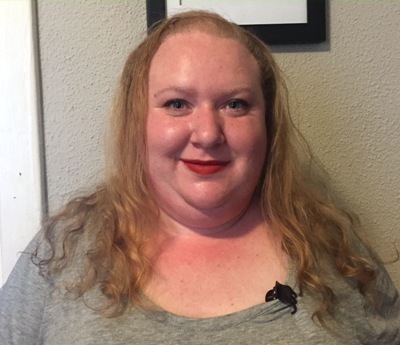 I’ve wanted to try hair extensions for a long time so when Irresistible Me offered us a chance to try theirs, I jumped on it. The first thing I had to do was decide which type of extensions I wanted (I chose Royal Remi clip ins), which shade I was and the weight and length. My hair is somewhere between a red shade and a blonde and I had a really tough time trying to figure which shade to get. I ended up choosing the Royal Golden Blonde shade was was shocked when the package arrived because it’s basically the exact colour of my hair. I also went with 140 grams (8 pieces) and 18 inches for my extensions. I wanted them longer than my own hair but not too long just in case the colour didn’t quite match up. 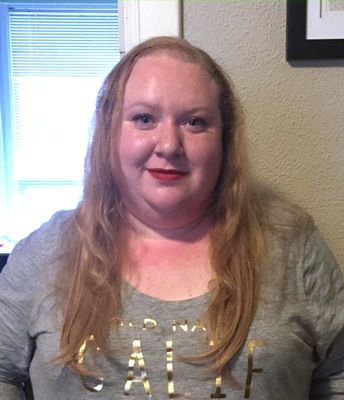 For the photos, I purposely didn’t straighten my hair so you could see the difference between my own hair and the extensions. So basically if they’re straighter, you’re looking at extensions. The quality of the extensions are pretty amazing, they’re really silky and taking it out of the package was a little strange because it felt like I was holding someone else’s ponytail. Using the extensions was a breeze. I put them in while I was sitting on a couch and didn’t have a mirror in front of me. The instructional videos on the Irresistible Me website were extremely helpful but the girl in the video has way more hair than I do to begin with, so there’s probably no way I’d be able to use as many extensions as her. There’s definitely a learning curve when it comes to using these clip in extensions but they’re so easy and match my hair so well that they’re pretty much the extensions of my dreams. I can’t wait to keep playing with them to see what looks I can come up with. Toronto has been Blue Jay crazy this fall with the Jays making to the post-season the first time in 22 years. As a softball player myself, it’s no surprise that I was caught up in the craze. So when the Garnier Color Styler hair dye in Bright Blue arrived at my door it was like a sign. I obviously had to show my pride! I didn’t do it lightly though. I was mighty nervous. Sure, I had dyed my hair bold colours before, but that was in high school. I was much older and wiser now. So I read the instructions carefully and even watched a few videos to see how other’s had done their hair. I finally stepped up to the plate and got ready. 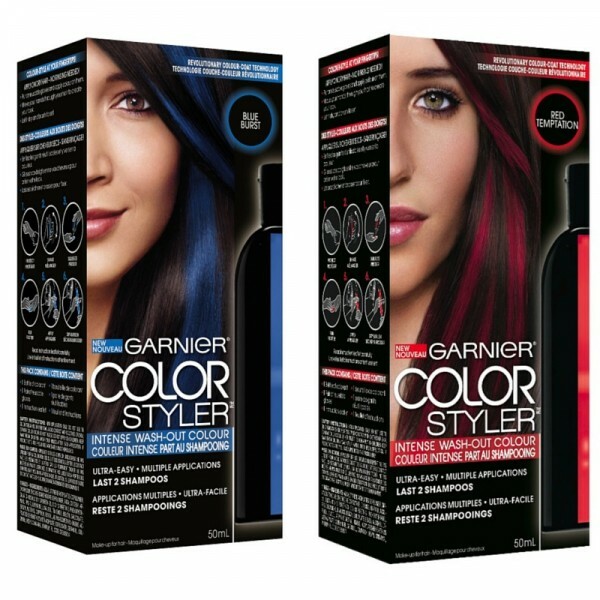 Garnier’s Color Styler dye is pretty simple. You just shake the bottle, pour the coloured dye on your hair and rub it into the sections that you want dyed. 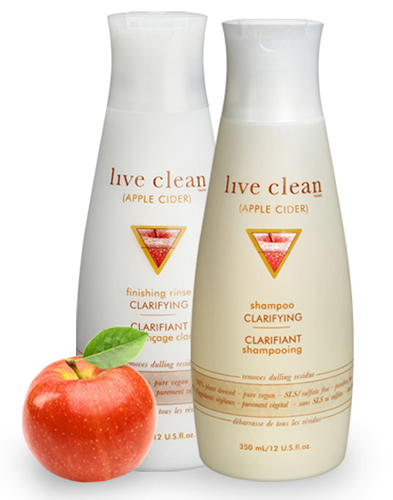 Your hair doesn’t have to be clean, but you shouldn’t have any oil based products in. The instructions say that oils help to remove the dye from your hair. It’s easy to get on, just make sure that you go into this with a plan. If you are alone, once you start applying this hair dye it’s really hard to start fiddling with your hair or fixing things. This dye is really runny, so you need to work fast or else it will spill all over. I chose to do one streak in the front of my hair and an ombré effect on my tips. Getting the ombré was a lot easier than I expected! The dye is pretty forgiving and it’s easy to apply more on the ends for a more saturated colour. In total, it probably only took me about 20 minutes from the time I opened the box to be done. 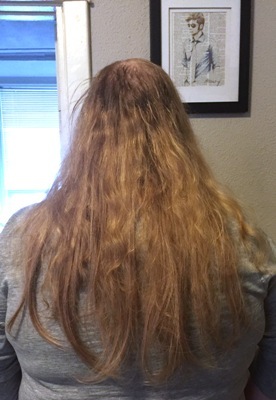 After, the instructions say to let it dry, then brush it out. Let it dry for as long as possible. It’s going to come out on your brush no matter what you do, so give it as much chance as possible. Then be prepared for some tangles. This Garnier dye does have one serious downfall. It make your hair look extremely dry. Anywhere with the dye in it looked messy, dry and damaged. I know it’s because this is a clay dye that coats the hair, so it’s not your real smooth locks that you are seeing. It just didn’t look nice though. Because it comes out with product, I couldn’t apply any moisturizers or smoothers or even style it very much without it coming out. By the time I left the house that night to watch the game my hair looked amazing. It was only a few hours later, when the Blue Jays had me sweating by giving away some runs that I saw another downfall. Don’t use this dye if you are going to be active and hot. The blue had rubbed off on my shoulder and my neck while I was getting pumped for the game. I was all for showing my blue pride, but I didn’t want to look like a Smurf. It was easy to clean off my skin, but I ended up putting my hair in a bun to keep any future blue dye off of my face. The next day, it mostly washed away in the shower as promised with just a hint of blue in my hair waiting for my next shower. Overall, I was happy with my Garnier Color Styler hair. The colour looked amazing. It was saturated and so cool. 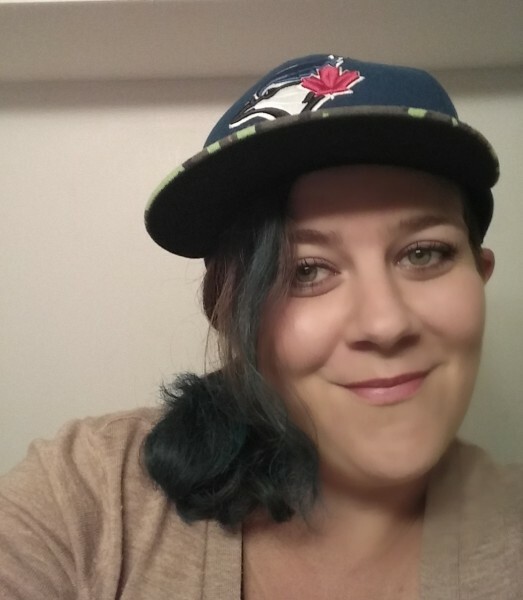 Apparently blue hair really suits me. I just wish it didn’t run so much. If it was a bit stronger, I feel like I would have had a lot of fun with my locks trying different styles. Instead I was worried about blue hands. Either way, I want to give a huge shout out to Garnier for helping me come together to support out Toronto Blue Jays! It feels like my hair gets blonder on it’s own every summer and thanks to the balayage highlights I just got, my hair is pretty blonde. But every fall my hair gets a little dull and the brightness fades. 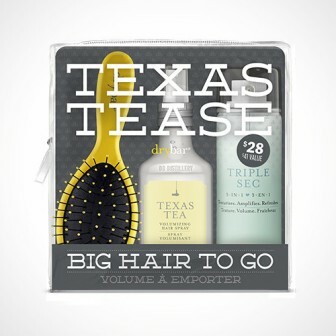 Enter Drybar’s Blonde Ale collection. 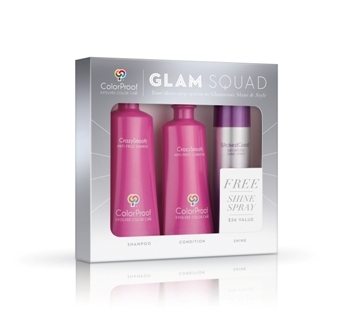 This purple shampoo and conditioner are supposed to keep your blonde bright and I got them just in time. This shampoo is PURPLE. I know purple is good for blondes but this is so bright I was wondering what colour my hair would be when I got out of the shower. I’ve never used a shampoo where literally a drop is enough to get a good lather going. My hair doesn’t feel stripped after I wash (probably thanks to the keratin) and the ‘Sensual Woods’ fragrance smells pretty fantastic. 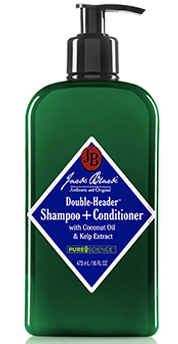 I usually expect conditioners to be pretty thick and this one really isn’t. But it gets my hair really moisturized which is so important to someone with any kind of colour in their hair. This purple wasn’t nearly quite as shocking and it has the same scent as the shampoo (Sensual Woods has notes of ginger, mint and sandalwood). Blonde Ale Brightening Cream isn’t purple! But it’s a pearly white that really makes my hair silky and soft. It gets rid of the worst of the frizz but on really humid days I have to mix it with other products. Considering Drybar just focuses on blowouts and styling (they’re finally opening a Canadian location! ), I’m really impressed at how great this collection is. Does it make my hair brighter? Ask me in October when we don’t have sun all day. I adore the scent of citrus in the actual fruit but I always find it doesn’t quite smell the same when it’s in a fragrance, I always find they smell a little off and fake. L’Occitane’s new Citrus Verbena collection is the citrus scent I’ve been waiting for. It smells like lemons and grapefruits were mixed with verbena and just became the most delicious summer scent. 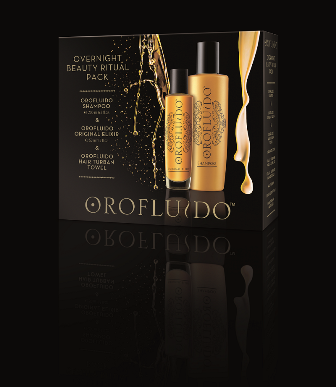 There are ten products in the collection, everything from perfume, to hair products to deodorant, so you can literally soak in Citrus Verbena from head to toe. 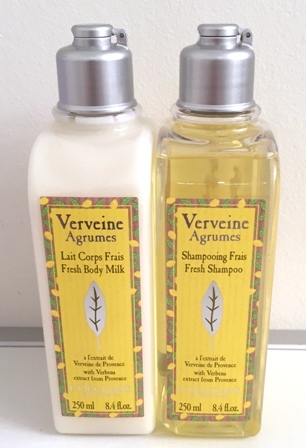 We received two products to try, the Fresh Body Milk and Fresh Shampoo. The first time I used this shampoo was in the middle of a heatwave and it was just so refreshing and really made my head cool off. I don’t use a ton of shampoo to begin with, maybe an amount the size of a quarter but this one lathers so well I need even less. And while I didn’t have the matching conditioner, it left my hair feeling clean but almost hydrated enough that I was considering not using one at all. It also gave my hair a lot more shine than most products do. I really can’t express how much I love the scent of the Citrus Verbena collection and it’s this body milk that originally sold me on it. The second I opened the bottle I knew I was going to be using this product a lot, regardless of how well it worked. Luckily it’s L’Occitane so the quality more than lived up to my expectations. The milk is extremely light and just melts into your skin without leaving you with that sticky feeling you can get from body milks and it really cools your skin down. 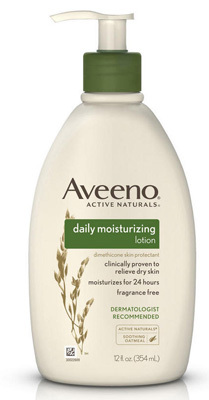 My skin was hydrated and smelled amazing for hours after I applied it. I knew from the first sniff that I was going to be buying other products from the collection. I already bought two of them and I have a feeling there’s going to be more in my future. I didn’t already have a favourite scent from L’Occitane but I definitely have one now.